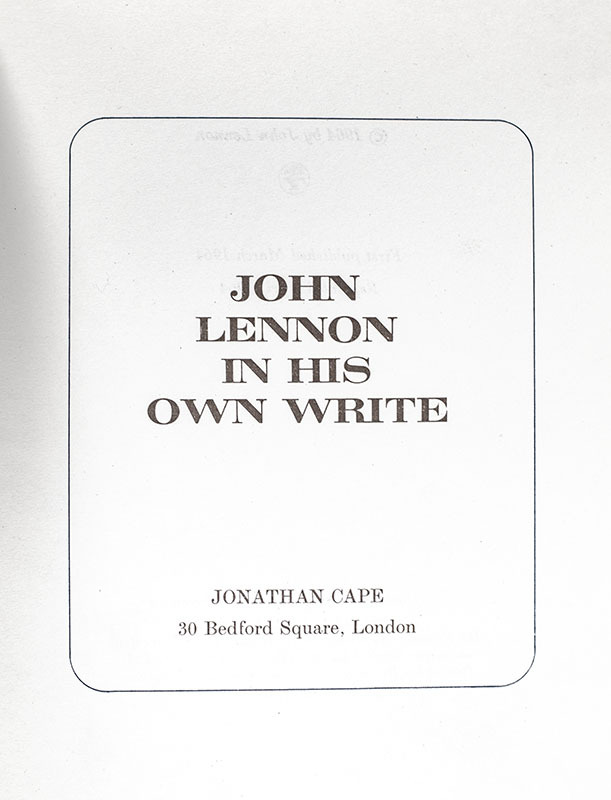 The first solo project of any member of The Beatles, John Lennon’s first book, In His Own Write, is an amalgamation of short stories, poems, and line drawings, illustrating Lennon’s unique mastery of free association and improvisation. 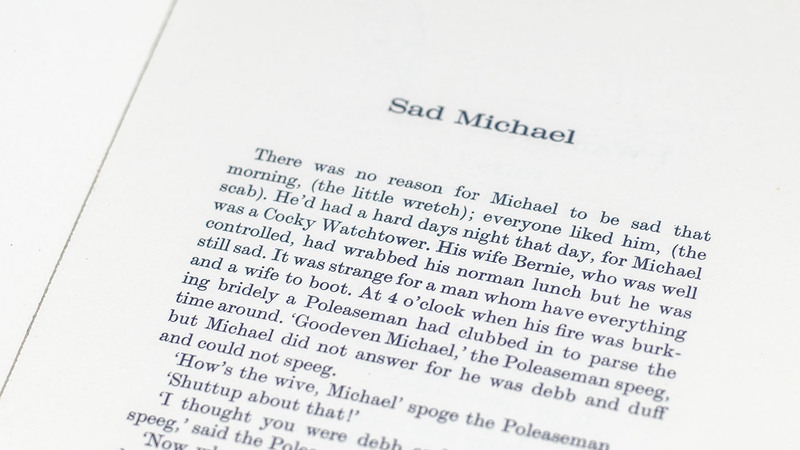 Originally published in 1964 by both Simon & Schuster and Johnathan Cape, the book was an immediate success and translated into several languages in the same year of its initial publication. Lennon, John; Paul McCartney; George Harrison and Ringo Starr. Vintage glossy photograph of the The Beatles taken while filming their 1965 feature film Help! Signed by all four Beatles, “John Lennon,” “Paul McCartney”, “George Harrison”, and “To Diane, love from the Beatles, Ringo Starr”. In very good condition with some creasing. The photograph measures 6.5 inches by 4.75 inches. Matted and framed. The entire piece measures 13.5 inches by 15.5 inches. 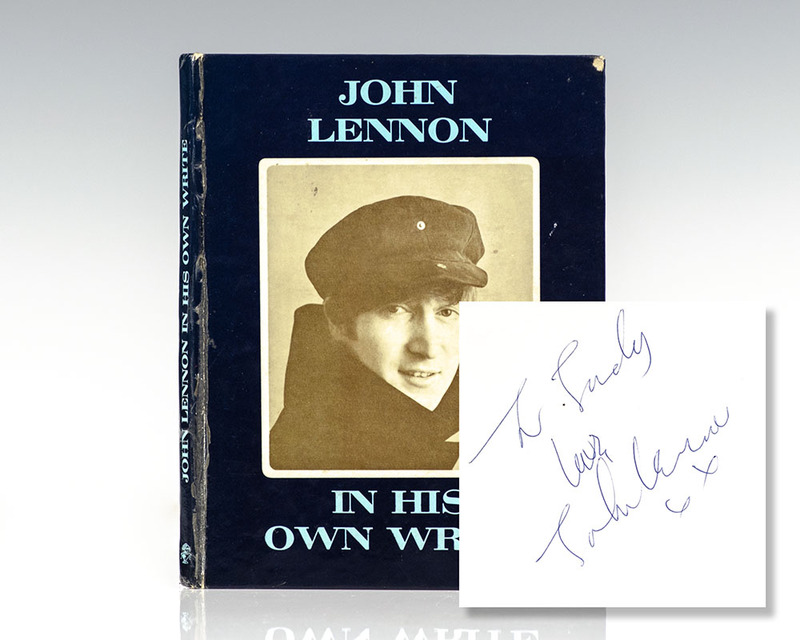 Items signed by all four Beatles from the latter half of the 1960s are scarce.